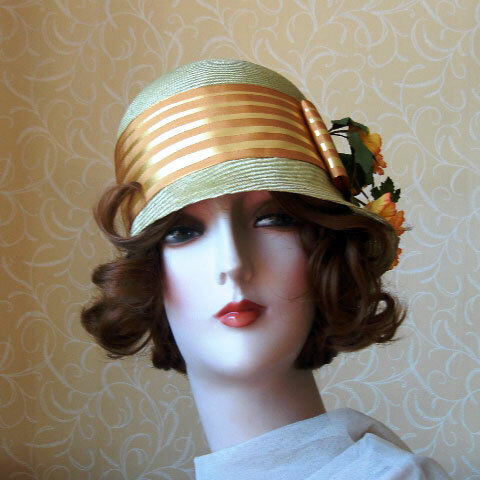 Gold ribbon straw hat with an asymetric brim and gold ribbon trim. 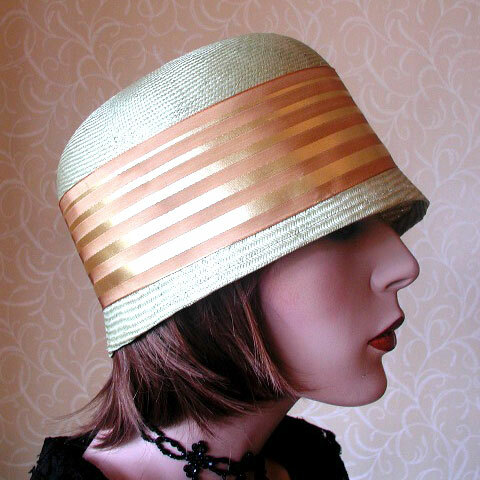 Gold ribbon straw hat cloche in pale green, with asymmetric brim for an air of mystery. 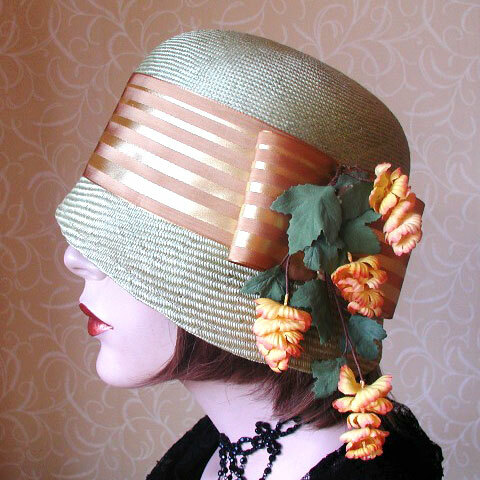 Trimmed with gold French vintage ribbon, and vintage dangling flowers.